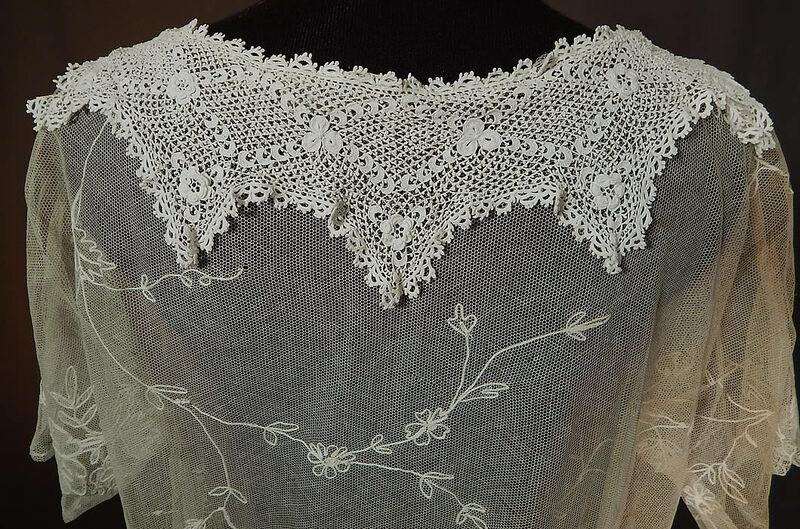 This vintage white net tambour embroidery lace collar rosette trim drop waist dress dates from the 1920s. 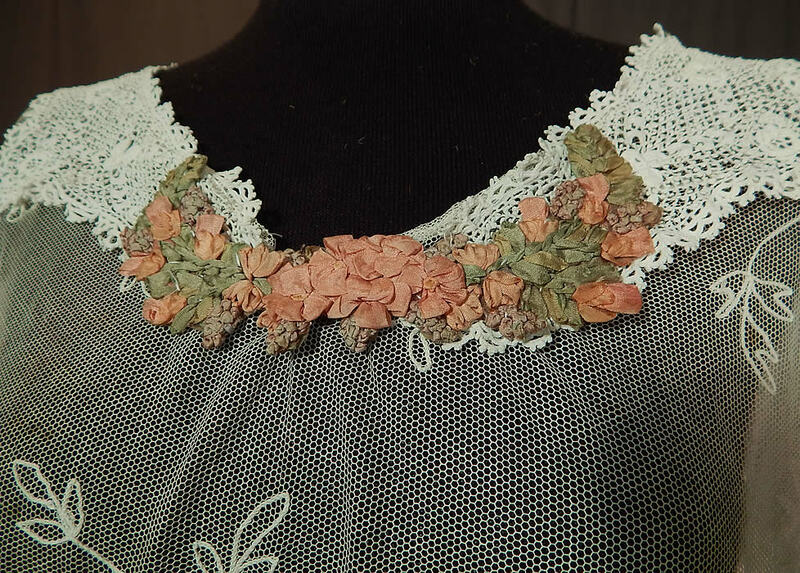 It is made of a patchwork variety of antique lace fabrics and trims, with a white sheer net lace fabric of fine tambour stitch embroidery work done in floral vine leaf pattern designs, an Irish crochet lace scalloped collar and pink pastel silk rosette ribbon work large flower appliqué. 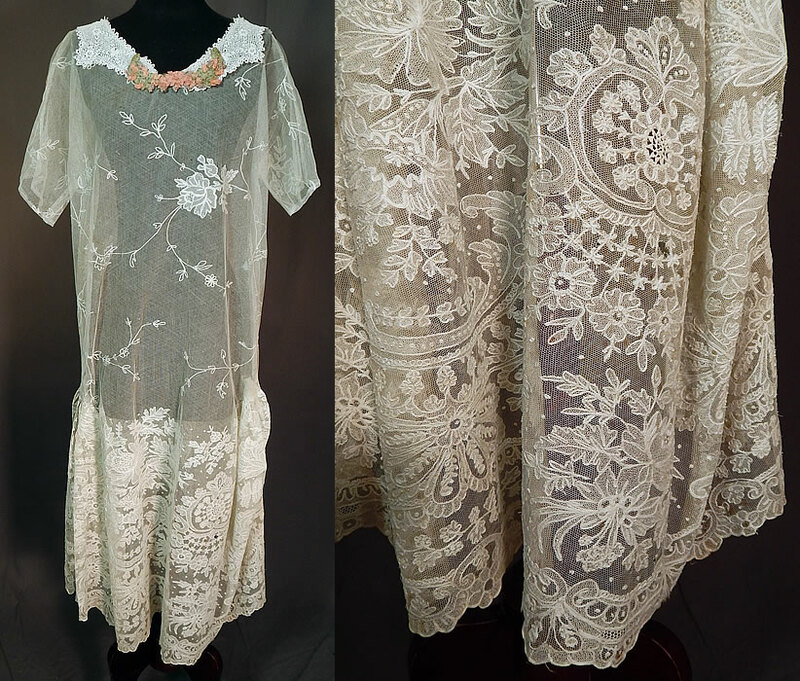 This lovely lace drop waist dress is loose fitting, with a lace trimmed collar, rosette trimmed neckline, short sleeves, side gathering on the skirt and is sheer, unlined. 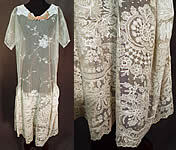 The dress measures 47 inches long, with a 40 inch bust, 40 inch waist and 42 inch hips. 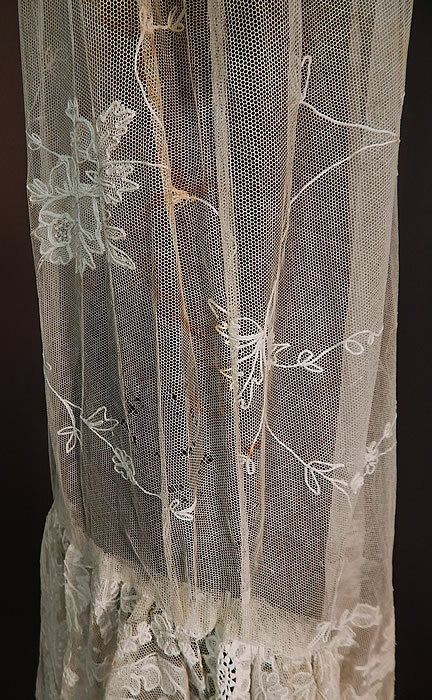 It is in good as-is condition, has not been cleaned, with a some faint age spot staining discoloration along the shoulder, side and a few tiny holes scattered on one side (see close-up). 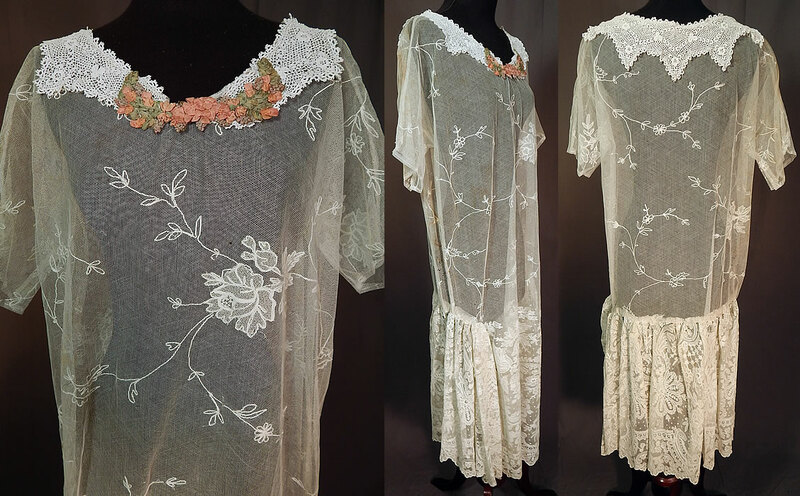 This is truly a unique one of a kind custom made exquisite piece of wearable lace art!